There is FREE parking in Lot 7 at the Hyatt Grand Cypress. A shuttle will take you to the hotel. 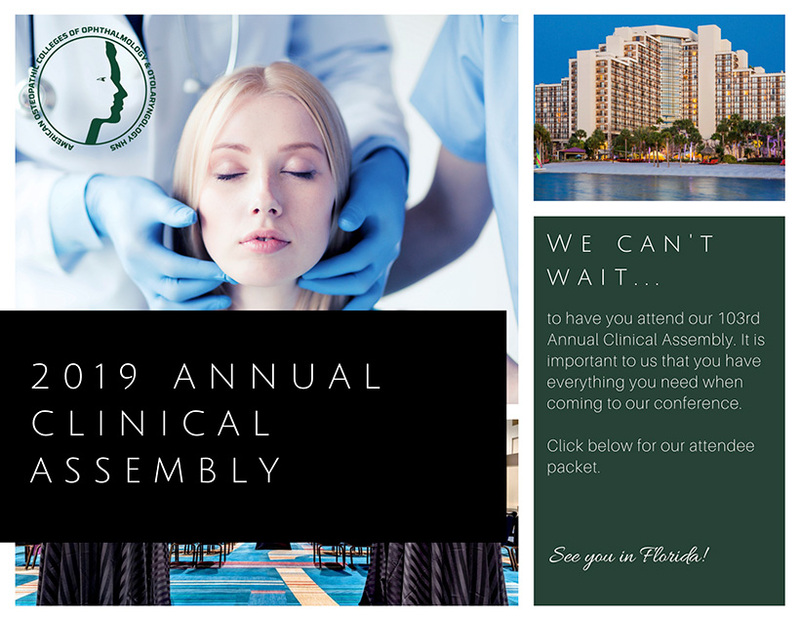 The 2019 ACA will be held at the Hyatt Regency Grand Cypress in Orlando Florida on May 2nd - 4th, 2019. Room rates are $225 single/double, $250 triple and $275 quadruple occupancy. Deadline for submission is April 1, 2019. Poster applications submitted after April 1st will be accepted on a space-available basis only and may not be included in the official program. To participate in the Scientific Poster Competition, please select the Scientific Poster Competition option when registering for the event and we\'ll provide you with more information. Deadline for submission is March 15, 2019. Judges will evaluate Research Papers, identifying the top three papers per specialty submitted in the academic year. However, it should be noted that AOCOO-HNS reserves the right to withhold or combine any award should it deem that sufficient suitable research has not been submitted that warrant the presentation of this prize. If awarded, the top three monetary awards will amount to a total of $8000. Typically, first place receives $2000, second price receives $1500, and third place receives $500 (per specialty). To participate in the Research Paper Competition, please select the Research Paper Competition option when registering for the event and we\'ll provide you with more information. Online Registration Ended Apr 7th, 2019. In person registration available at the door.